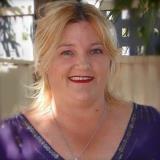 Georgie Blore, is singing karaoke tonight at The Palace Hotel. Sounds like a fun night out. I know going to The Palace makes for a great night anyhow with their tasty meals and slightly retro, buzzy vibe. The Palace Hotel is at 227 Argent Street, Corner Chloride Street. When Georgie isn't singing, she's organising social dining get togethers through a group she set up on Facebook A Guide to Dining Out in Broken Hill, Tour De Foodies events. Check it out. It's an open group designed as a monthly get together for a dining experience at three dining venues (restaurants/ cafes/ pubs/ clubs) on the one night and catching up with and meeting new people. Next Tour De Foodies is on 20 March 2013, 2013, 6.30pm at Comfort Inn Hilltop (book via Facebook). Get down to The Palace for a fun night out and support Georgie (whom I have not yet met). 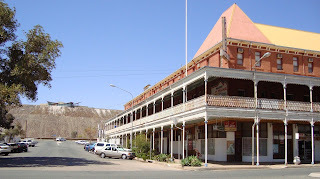 If you miss that, or want to hear more, Georgie will also sing at Alma Hotel 212 Hebbard Street, Broken Hill on Sunday at 5.30pm.